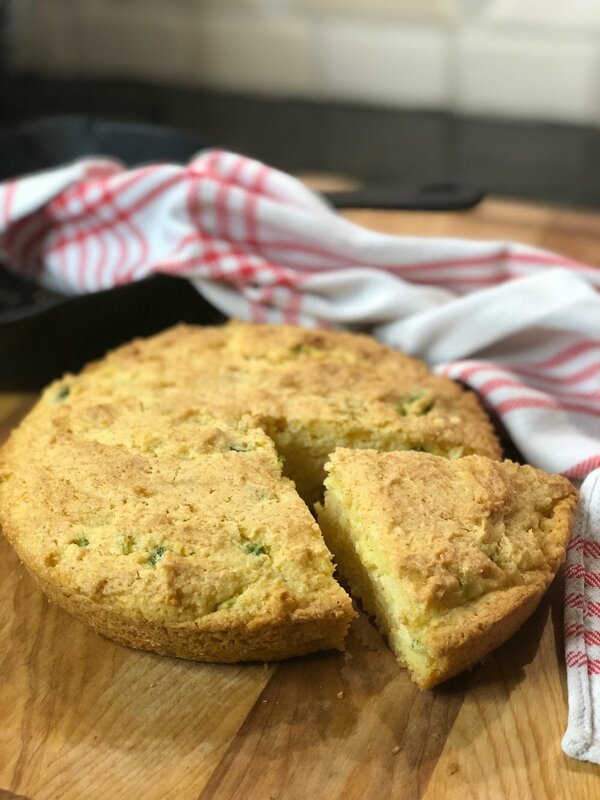 This is a classic southern cornbread recipe and does not include any sugar making it more of a savory dish which we love! We always try and reduce our sugar intake anyhow (find out why here). This is an easy and healthy side dish perfectly paired with a hearty soup in the winter or a barbeque in the summer. It gives your meals an extra special home made taste that can't be replicated at even the best restaurants. You'll be amazed at how everyone who tries this, has amazing things to say about it. You can add bacon, jalapeno peppers (as we did), cheddar cheese, parmesan cheese or pimentos just to name a few ideas. Let your imagination and taste buds run wild. Make the batter. Whisk together the cornmeal, baking soda, jalapeno pepper and salt in a bowl. In another bowl beat the egg and the buttermilk with a fork and then incorporate with the dry ingredients. Gently mix and then fold in the melted butter. Pour avocado oil into cast iron skillet. Pour batter into pan, smooth top so batter is evenly distributed. Place pan on the middle rack in the center of the pan. Bake for 20 minutes or until the edges begin to brown (don’t over bake because the corn bread will become dry). Remove pan from oven and let it rest in the pan for 10-30 minutes. **CAUTION – remember that the handle of the pan is HOT – make sure that when you take the pan out you place either a towel or potholder over it so no one accidentally burns themselves. 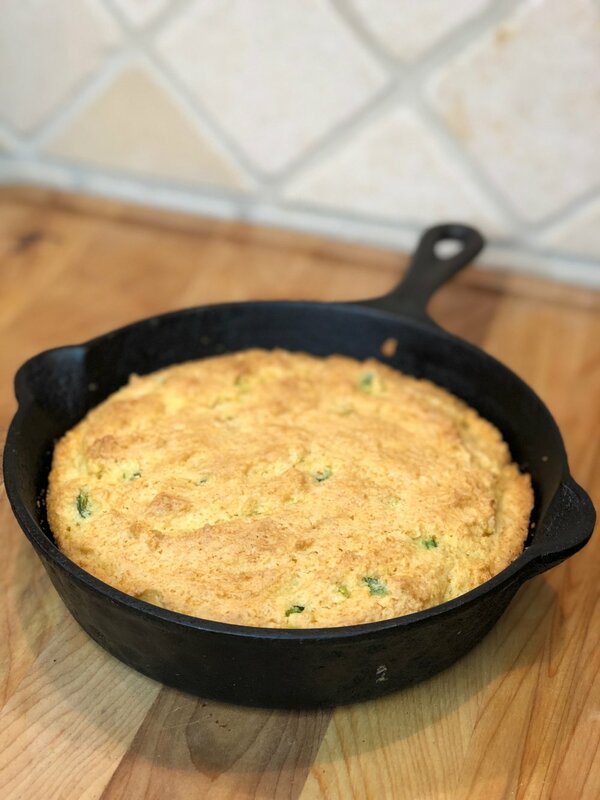 Turn the pan over and the cornbread should easily release. We like to serve our corn bread on a wooden cutting board cut into wedges. Serve with softened butter.